- "Oye Chhotu – Part 2"
Chhotu has really grown up now. What an innocent ending. 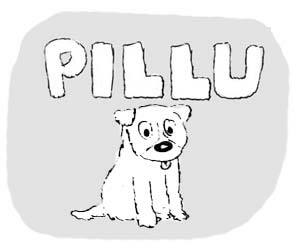 Chhotu is really a nice hopeful story of this silly little dog who knows nothing. And mottu is really a good mentor. 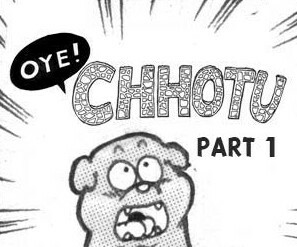 Oye Chhotu first published in DOGS anthology by Captain Bijli comics and has been republished here with the permission of Shohei Emura. 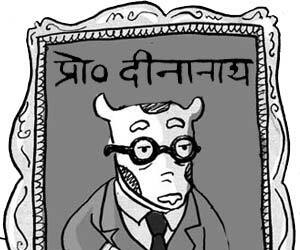 I hope we get to see more of Chhotu’s adventures and lose ourselves in his innocence. Hoping that Shohei Emura is listening. You can watch the MAKING OF video here – a conversation with Shohei Emura. Really amazing and relatable. As a kid, I had always wondered how dogs jumped the walls at times and failed at other times. This comic beautifully took that premise and made an interesting story out of it.